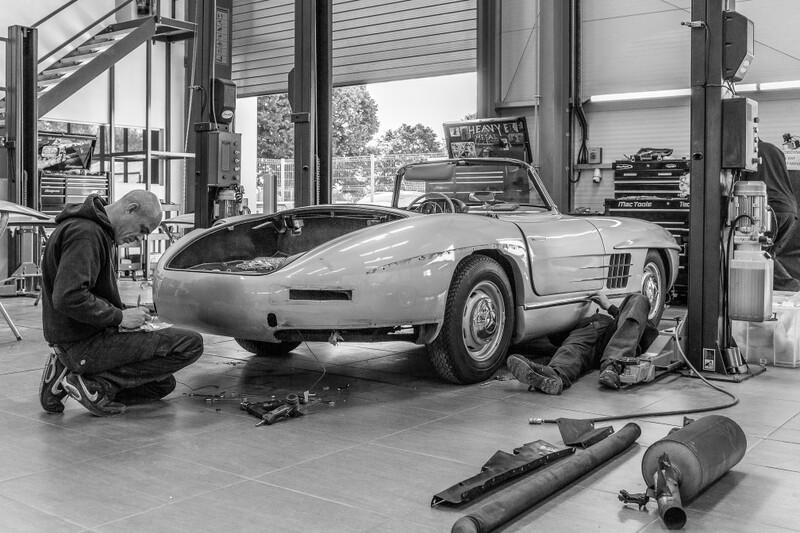 After being enjoyed for over 60 years Hemmels is undertaking a complete yet sympathetic restoration of this classic 300 SL Roadster. Join us for the journey as we share the challenges and successes of this project via this blog, photographs, videos and more. Where do you start with a restoration project when the car is worth over £1M as is? The same way we do all our restorations - a complete strip down and cataloguing of every nut and bolt. What does a 300 SL look like when reduced to its constituent parts? It looks like a mountain of work. 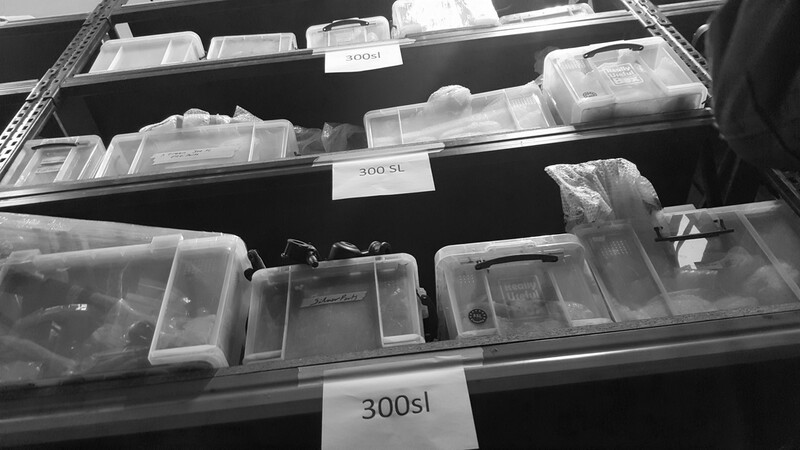 From recording stock to the beginning of the chassis stripping we take you through the organising process which is critical to a successful project. 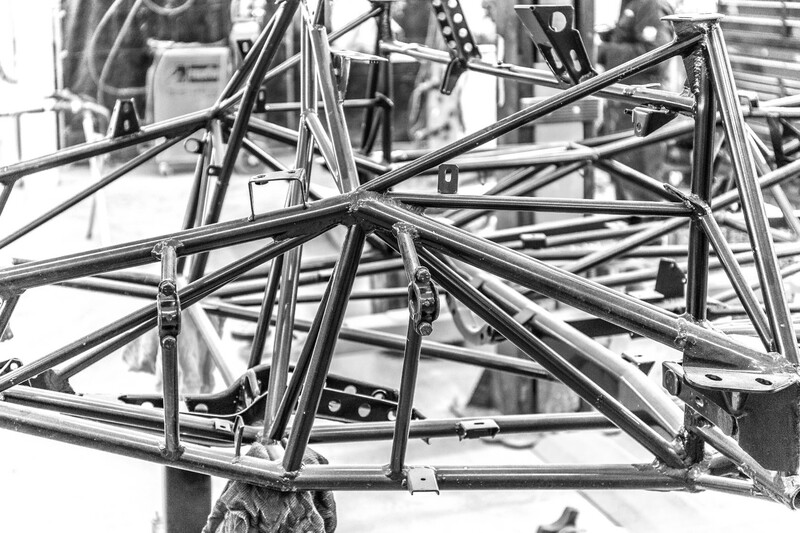 The lightweight tubular space frame enabled much of the advanced suspension and drive train breakthroughs to be realised and helped the 300 SL to being king of the race circuit. 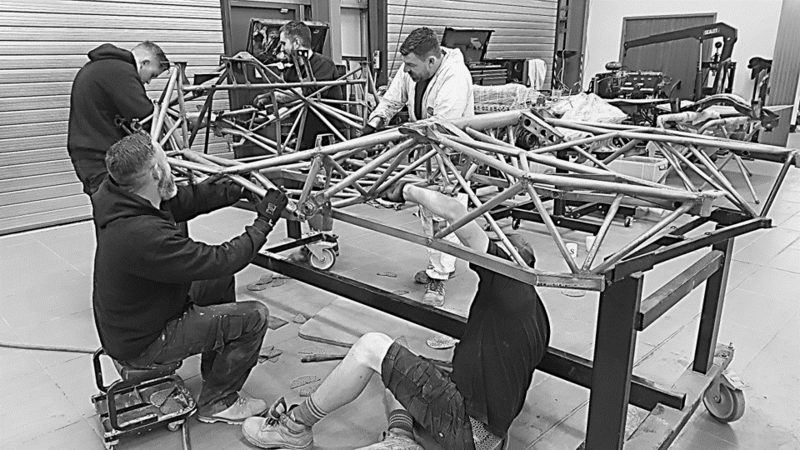 The first step is fine finishing the tubular space frame prior to applying the powder-coat finish. 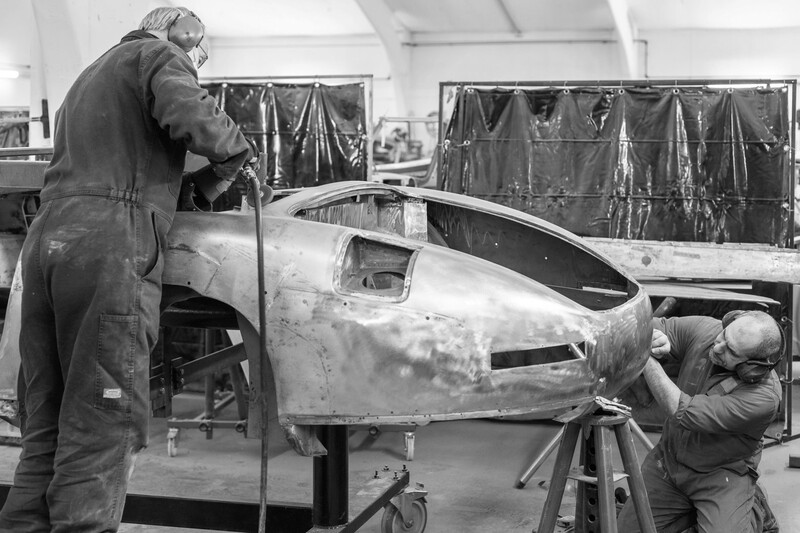 With the 300 SL Roadster Space Frame re-aligned by the metal team it was then stripped and prepped in January. The powder coating is then applied for a durable and even finish which is ideal for the rigours of the road. 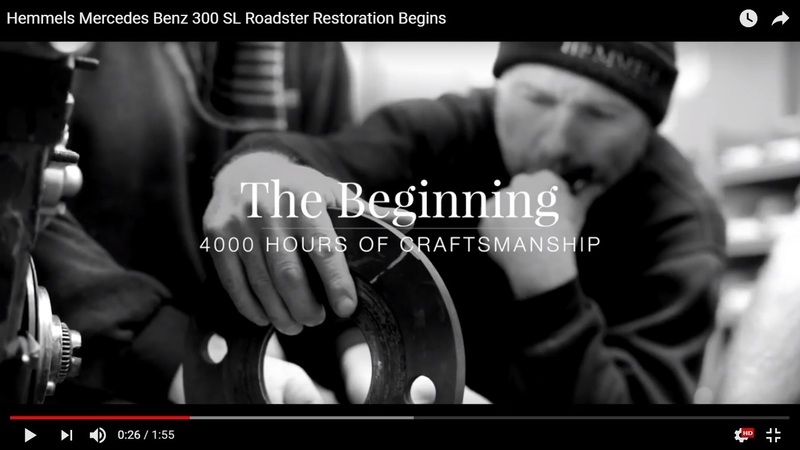 After more than half a century on the road the body of this 300 SLl Roadster was in very good condition. Yet the Hemmels Neugeboren Process demands that it be brought back to bare metal then made better than new.